Our progressive approach to bringing stability and ongoing behavioral improvement is delivered by a coordinated team of highly trained therapists. 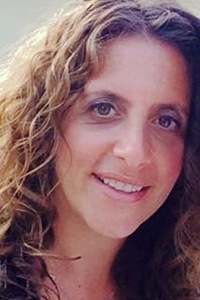 Caryn Mandel holds a Masters Degree in Social Work from Rutgers University and has worked as a pediatric behavioral therapist since 2001. 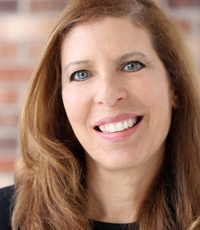 In addition to providing individual and family therapy, she has served as a behavioral consultant for the Suburban Speech Center in Short Hills, NJ, and Saint Barnabas Medical Center in Livingston, NJ, The Fairfield Board of Education, and New Jersey's Early Intervention System. Ms. Mandel provides behavioral strategies within the home, school and other settings. Her philosophy is to teach, assess and shape the particular behaviors of children of all ages. The goal for each child is to learn appropriate behaviors using positive behavioral techniques. 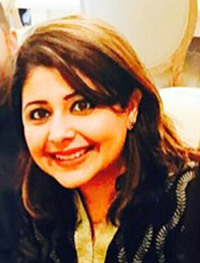 Sadaf Khawar holds a Bachelor of Science Degree in Psychology from University of Houston, a Master of Arts Degree in Clinical Psychology from University of Houston-Clear Lake, along with a Certificate in Applied Behavior Analysis from Florida Institute of Technology. She is a Board Certified Behavior Analyst and a New York State Licensed Behavior Analyst since 2015. Sadaf has worked with children with developmental disabilities for the past 9 years in Texas, Ohio and the Tri-State Area. She believes in a collaborative approach to treatment planning and efficacy. 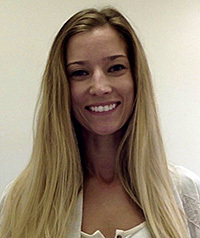 Her current research interests include studying factors affecting the quality of life of individuals and their families with Autism, factors affecting parental stress in parents of individuals with Autism, developing effective therapeutic interventions for parents of individuals with disabilities, and improving sibling interactions and quality of life of siblings of children with disabilities. 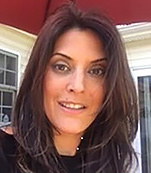 Audrey Puggi is a New Jersey native with over 6 years of experience working within public schools and in-home programs utilizing applied behavior analysis. Audrey completed her undergraduate degree from Rutgers University and her Master's degree is in Professional Behavior Analysis from Florida Institute of Technology. She has extensive experience working with student ages 2 to 18 years with varied diagnoses such as ADHD, ASD, Down syndrome, and mood disorders. In the school setting, Audrey works closely with teachers and staff to develop up-to-date scientifically proven programs. She has clinical experience in discrete trial teaching, NET, teaching communication with augmentative speaking devices, social skills, and RFT. She is passionate about collaborating with families and committed to providing individualized support services to families. Audrey enjoys volunteering within the community to assists displaced families receive educational services and permanent housing. 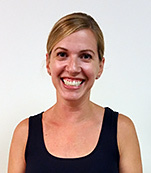 Emily Griffin is a Board Certified Behavior Analyst who received her Master's Degree in Behavior Analysis from Simmons college. Emily joins us with 5 years experience working in the field of Applied Behavior Analysis. She recently relocated from Boston where she worked as a behavior analyst for an agency providing ABA services to children ages 18 months to 7 years of age. Emily's clinical experience includes play-based therapy, developing and implementing behavior plans, discrete trial teaching, and providing parent trainings. She also has extensive knowledge in conducting the VB-MAPP skills assessment to identify areas of concern and creating measurable objectives for a child's treatment plan. In addition, Emily's primary area of interest is verbal behavior. Studying and teaching language in all modes of communication (sign language, AAC, PECS) is one her passions and enjoys teaching language based off of a child's motivation. Emily's goal is to give each child the best treatment package possible and tailoring each program to the specific needs of each client. 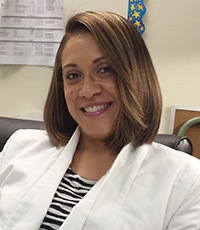 Jennifer Perez, MSW, BCBA is a Board Certified Behavior Analyst. She received her Bachelor of Science degree in Psychology from East Stroudsburg University, her Masters of Social Work from Marywood University, and her certificate of graduate study in applied behavior analysis from Rowan University. Jennifer has been working with children since 1996, with a focus on children with special needs and developmental disabilities since 2001. Before relocating and settling in New Jersey, Jennifer served as the Assistant Director for The Center for Autism in Philadelphia, PA. Jennifer is currently the District Behavior Analyst in a public school district where she oversees a specialized self-contained verbal behavior program for students with autism from grades pre-k through high school transition and addresses the behavioral needs of students in a variety of other settings. In addition, Jennifer provides ongoing trainings and support for school personnel. Shivonne Troy is a Board Certified Behavior Analyst with a Masters in Psychology (applied behavioral analysis) who has been working with typical and special needs children since 2005. She is also a licensed teacher of both elementary education and students with disabilities. Shivonne has taught students of varying disabilities ages 3 to 13 and provided both in home, school based, clinic based and residential behavioral services to individuals and their families. Shivonne is currently a Behavior Analyst in a private school for multiply disabled students ages 3 - 21, where she specializes in IEP development and implementation, behavior intervention plans, behavior/skill acquisition assessments, discrete trial instruction, crisis management, positive behavior supports, behavior reduction, staff training. In addition, Shivonne is a certified life coach that specializes in special education advocacy for parents. Suzanne Kaner holds a dual Master's Degree in Elementary Education and Students with Disabilities (special education) from Mercer University and Caldwell University. Suzanne has over 20 years of experience teaching in the general education classroom as well as the special education setting. Currently she has been teaching 3rd grade for the past 3 years. Prior to teaching in Essex County, she worked in Union County as a basic skills and a general education teacher. She also has worked as a behavior therapist for the state of NJ working with children of pre-school age.